People come to Safed from throughout the world to encounter a spiritual Shabbat experience. The Kabbalat Shabbat service, a collection of prayers, psalms and hymns that is recited throughout the world before Shabbat begins, was written in Safed in the 1500s. 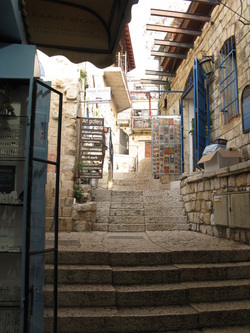 Stores and businesses close throughout the city as the residents and guests, no matter what their level of observance, enjoy the unique Safed Shabbat atmosphere. Click here for a Safed Carlebach Experience!!! Shabbat tour of the Kahal, archaeological excavations of Tzfat's Old City. Free. Leaves from Livnot U'Lehibanot Tourist Informaiton Center, 27 Alkabetz Street (just below the Ari Ashkanazi Synagogue) Saturdays 10:30a.m. and 17:30p.m. * You can arrange for Shabbat hospitality at the Carlebach-House of Love and Prayer. * Individual visitors can stay in any of the hotels or guesthouses that operate throughout Safed and order their meals at either the Rimonim hotel or the Ron hotel. There are also many catering opportunities for Shabbat and holidays. *There are many catering services on Jerusalem Street (Tzfat's main street) where visitors can pick up catered food on Friday morning to eat in their tzimmer/guestroom. 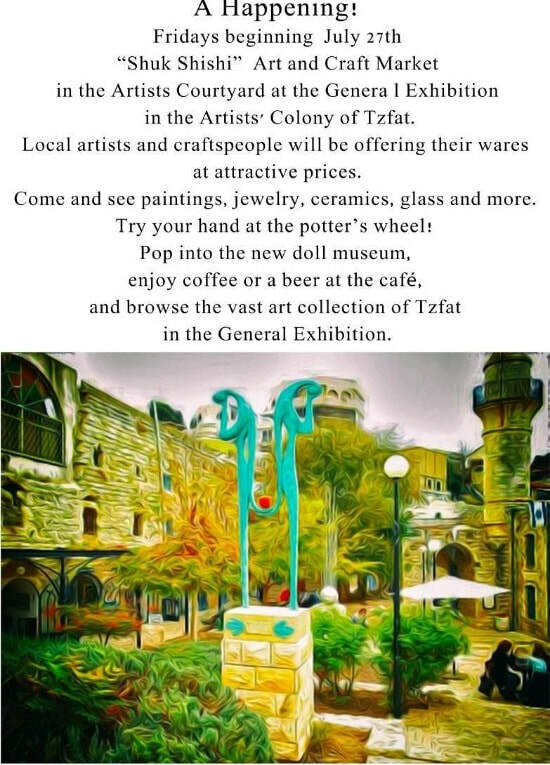 * There are Shabbat services at synagogues throughout Tzfat, including dozens in the Old City/Artist Quarter. The Carlebach synagogues (Beirav and House of Love and Prayer) feature musical havdallah services as well (Sat. night, after Shabbat ends). ​ * The Ascent institute offers seminars, hostel-accommodations and a full Shabbat experience, including home hospitality, for Shabbat visitors.